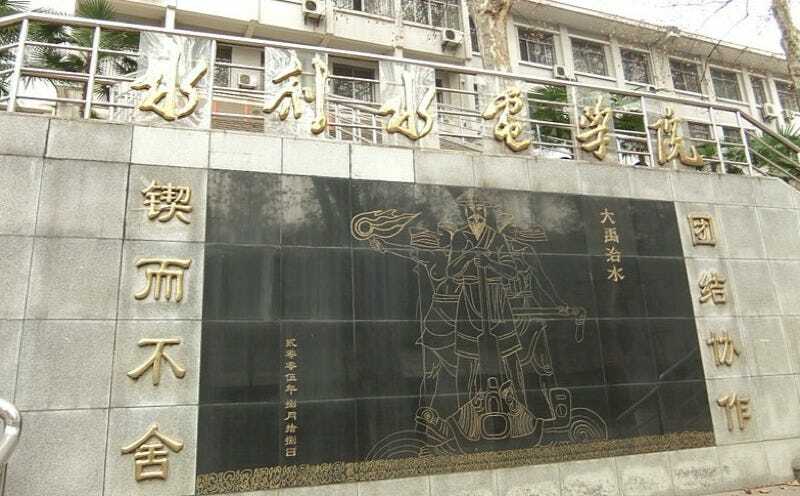 Chinese legend tells of a great flood, and how Emperor Yu drove back the floodwaters, founding the Xia dynasty and giving rise to Chinese civilization. Now an international scientific collaboration has discovered the first geological evidence that such a flood may actually have happened—and the founding of the Xia dynasty may have happened hundreds of years later than historians previously thought. They describe their findings in a new paper inScience. There are different versions of the Great Flood myth, handed down through oral tradition for hundreds of years before finally being written down around 1000 BC. But all feature the heroic Yu, who figured out how to dredge and channel all the flooded rivers and tributaries to control the floodwaters—a task that purportedly took decades to accomplish, even with the help of a dragon to dig channels and a giant turtle to haul mud. (Myths have their fanciful elements.) This led to him becoming emperor and establishing the Xia dynasty in China. Whether or not the Great Flood actually happened has been a longstanding bone of contention among scholars. After all, the historical record may have included the story of the flood and Emperor Yu’s role in driving back the waters as propaganda to justify imperial rule. History is written by the victors.This new geological discovery is the first real evidence for such a flood taking place. In a press conference yesterday, lead author Wu Qinglong of Peking University in Beijing described the accidental discovery of unusual sediment in the Jishi Gorge of the Yellow River. He hypothesized that it might be linked with the great flood and the founding the Xi dynasty. It was Wu who brought together the members of the collaboration, hailing from different disciplines, to find evidence to bolster that hypothesis. 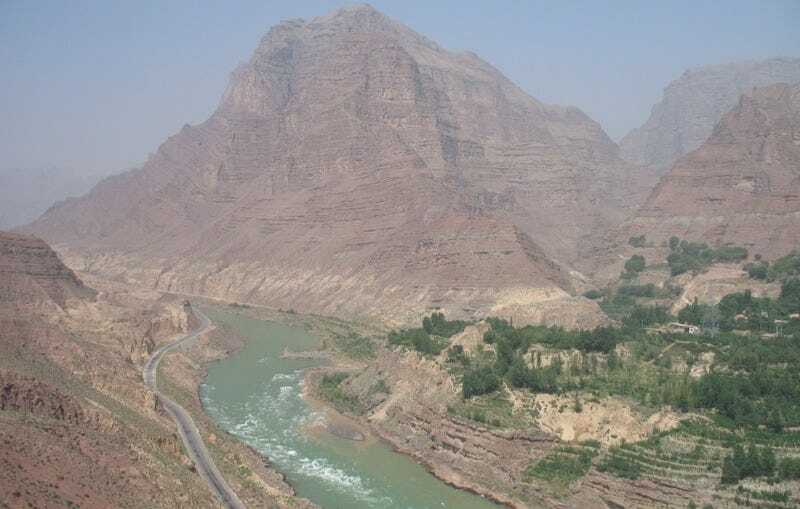 According to co-author Darryl Granger, a geologist at Purdue University, they found that evidence by mapping and dating the distinctive sediments deposited downstream from Jishi Gorge. They also examined bones from skeletons of children who died in an earthquake, found at the archaeological site of Lajia. Radiocarbon analysis of the skeletons gave a date of around 1922 BC. From this, the collaborators were able to reconstruct a sequence of likely events occurring around this time along the Yellow River. First, there was a devastating earthquake that caused a massive landslide. This dammed the Yellow River in the Jishi Gorge, located right at the edge of the Tibetan plateau. According to Granger, quake-caused landslides are quite common to this area. The resulting lake eventually spilled over the top of the dam of debris, weakening it until it collapsed catastrophically, sending a deluge of water downriver and flooding the lowlands. Yu the Great fighting the flood. Relief outside the Water Resources and Hydro Power Lab, Wuhan University, 2005. Wikimedia Commons. 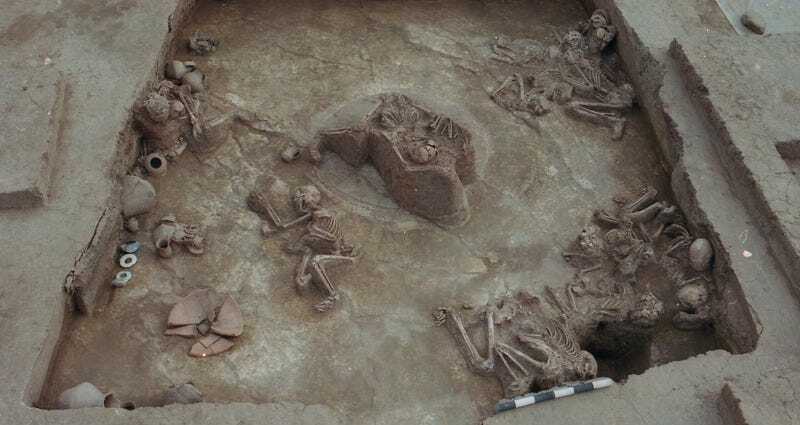 The houses of that period would have been more like caves dug into windblown sediment, according to co-author David Cohen, an archaeologist at National Taiwan University, which collapsed when the earthquake hit, killing the people inside. “We know [the earthquake] happened the same year [as the flood] because fissures in the ground caused by the earthquake are filled with flood sediment, as are pottery jars [at the site,” said Granger. “So the people killed in the quake and the flood are intimately related.” Had it been more than a year, the annual rains would have kicked in, filling those fissures and jars with finer sediment. “The inundating waters seemed to assail the heavens, and in their extent embraced the hills and overtopped the great mounds, so that the people were bewildered and overwhelmed. That’s in line with the Chinese collaboration’s estimates based on their mapping and analysis of sediment the site. Granger estimated that the flood waters may have risen 38 meters (around 124 feet) above the usual river level—about one-third the height of the Empire State Building, per Cohen—with flow rates between 300,000 to 500,000 cubic meters (79 million to 132 million gallons) of water per second. “That’s equivalent to the largest flood registered on the Amazon River, and the largest known flood on Earth in the last 10,000 years,” he said. The pile of debris that dammed the river would have been somewhere between the height of the Three Gorges Dam that spans the Yangtze River and the Hoover Dam in the US. This timeline also coincides with a major cultural transition, as the late Neolithic Era gave way to the Early Bronze Age, although Cohen describes this as more of an interesting parallel, with no evidence as yet for direct causation. There is evidence that the system of smaller chiefdoms in place before that time suddenly collapsed, and after a transitional period, larger cities, with more complex administrative structures, a writing system, and bronze manufacturing emerged around 1900 BC. In that sense, “The story of Yu taming the flood is the story of a new political order emerging out of the chaos of the flood,” said Cohen.